The 2009 enrollment deadline was June 12, however, we will continue to accept enrollment requests on a first-come, first-served basis while supplies last. So, if you want to join, click here and head over before supplies run out. And, yes, this is open to homeschoolers, grades K-6. The site also has some other really great printables (reading logs, story maps & sequencing pyramids, etc.). This site was added to the category or categories below. Please click the pencil below to find this site(s) and many others. 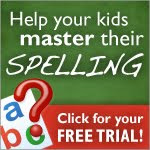 The Homeschool Resource List is a collection of my online homeschool resource site discoveries, most of which are completely FREE! Vist our welcome page for more information about how the site began as well as tips for using this site! Homeschooling Resources: Who Doesn’t Love Dinosaurs? Be sure to check out some fellow homeschool bloggers! Can you add my blog to the HRL BlogRoll and/or BlogLink? Sure! First of all, you must have a homeschool blog. Then, all you have to do is subscribe, follow, or link with my button. Finally, email me with your blog address and I will add you! Simply click on the desired category in the menu above to view my latest online discoveries. How will I know when new sites are added? As new sites are added, I will add them to the top of the list for each specific academic category page. I will also write a new blog post to notify that new sites have been added. That way, if you choose to subscribe or follow, you will be kept up to date with my latest findings. Copyright 2010 Homeschool Resource List. Clipart Credit: Microsoft Clipart.